Kids sick? suffer from allergies? Help ease the nose with Boogie Wipes. 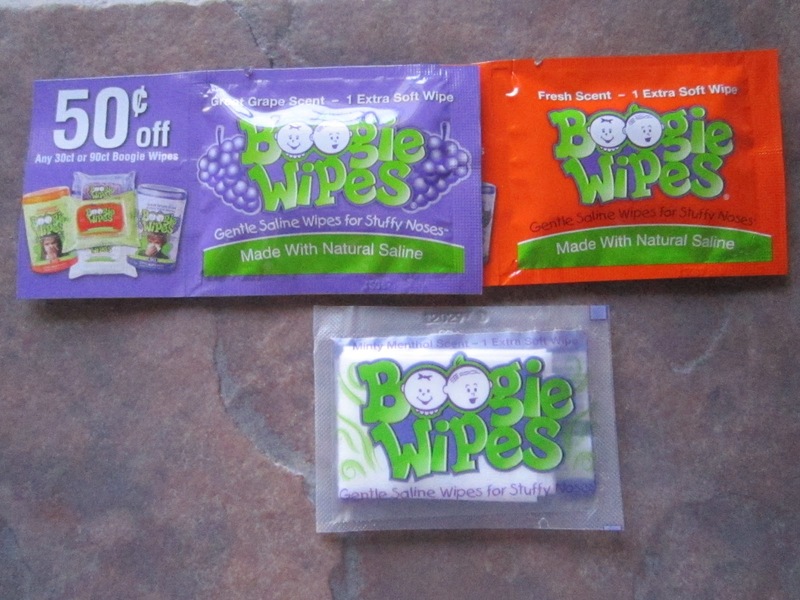 Boogie Wipes are a gentle saline wipe that help relieve the nose while also help to heal. I have used these on all 5 kids and they work great, my kids don't run away because it does not hurt their nose or dry it to a point of pain. Instead they help relieve and loosen up what is in the nose, making recovery much faster then when using a tissue. I love how they are like baby wipes so it makes it easy to carry around in my purse or bag. You can pick up Boogie Wipes in the baby isle at most major retail locations. They come in minty menthol, grape and orange scents. Soon to come scents include fresh, and cotton candy yum! You can purchase 30ct, 45ct or even a 90ct pack and they stay moist year round. You can check out the website SaveTheSleeve.com , to take the pledge and receive your very own I SAVED MY SLEEVE free badge kit! Boogie Wipes is trying to teach kids to stop using their sleeves and throw their boogies in the trash! This site helps to promote that with interactive games. Disclosure: I was given Boogie Wipes to help with my review. All opinions are 100% mine.